Description: Soccer training. 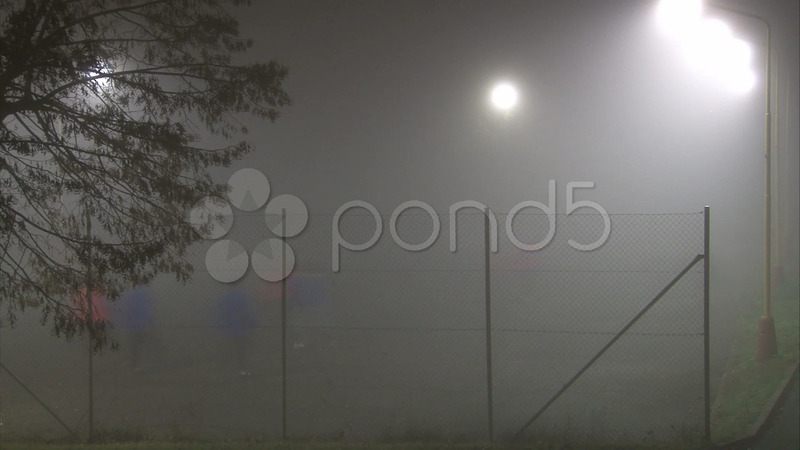 Illuminated playground in deep fog with football players. Time lapse. Fast motion.